Applying for funding is quick and easy! There are 2 ways to apply. A. Contact Information: Name of Organization. Tax ID#. Contact Name. Address. Phone. Email. Website. C. Description of Program/Project: What will funds from Dancescape be used for? D. Target Population: Who will benefit from your program/project? Specify ages and number of children. G. Detailed Program/Project Budget: Provide a clear breakdown of costs. H. Additional Funding Sources: Please list any sources of funding that you have obtained or are planning to request, including dollar amount. I. How did you hear about Dancescape? If you are a teacher in a public or private school, you are eligible to apply on the DonorsChoose website. A. Go to DonorsChoose.org and register online. B. Follow the steps to submit your proposal. *Priority will be given to those who have attended or participated in a DANCESCAPE event. 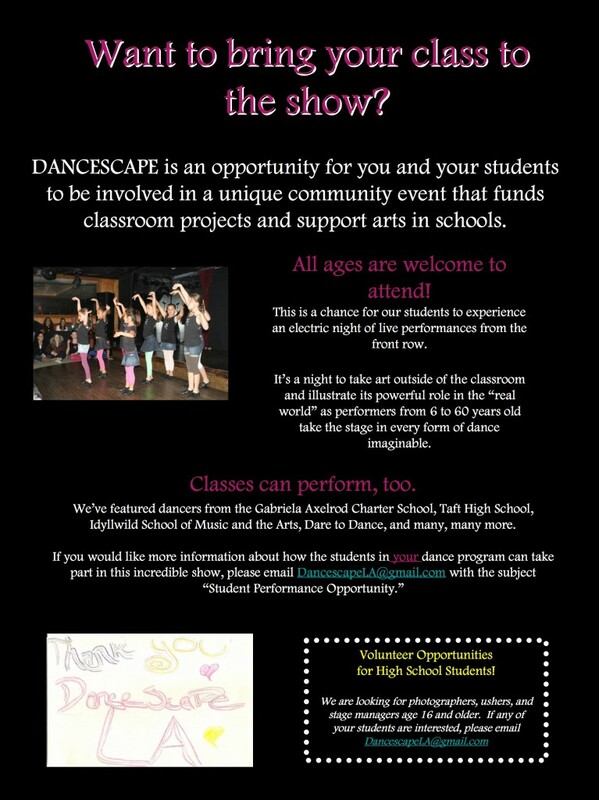 If nobody from your group has ever been to Dancescape before, email us to find out how to receive two free tickets! 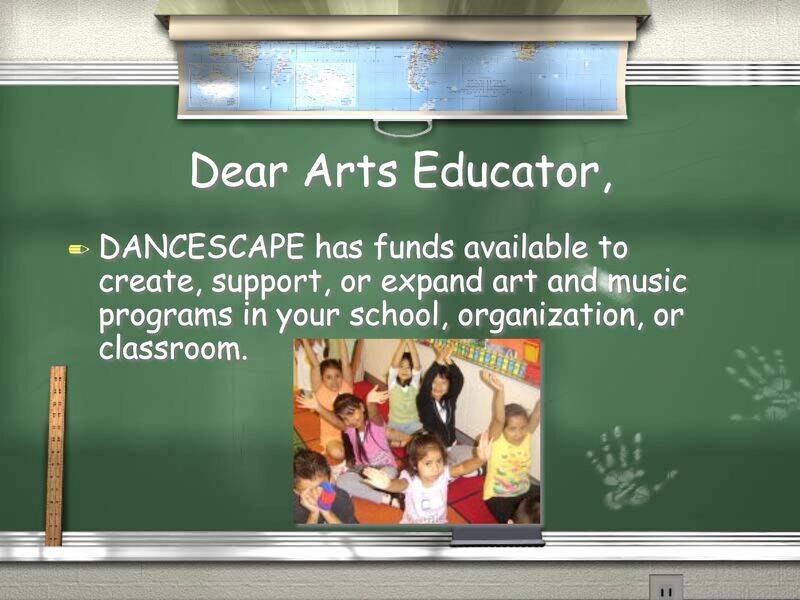 Click here for information about bringing Dancescape Ed to your organization!